Grab every color out of your stash and piece this fabulous gem! 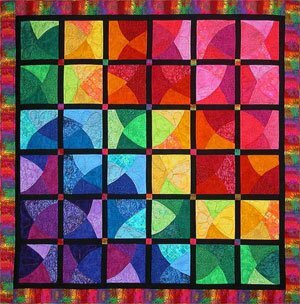 Gradations are the key to the luminescence of this quilt. There are no points to match, so you are a guaranteed success! This quilt is almost a 40" square.